Electra Accumulators was originally incorporated in the year 2009 at Vapi in Gujarat. They are engaged in the business of manufacturing wide range of Automotive, Inverter, E-Vehicle and solar batteries. 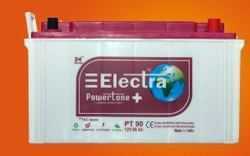 They mainly manufacture lead-acid batteries for automotive, Inverter, E-vehicle and Solar industries. 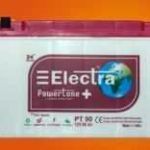 They operate under the brand name, “Electra” and “Geo Power”. The company has obtained certifications from ISO 9001:2015 and ISO 14001:2015. Some of their products have been certified by IEC 60896-11 norms & IEC 61427-1:2013 norms. The E-vehicle batteries manufactured by Electra are tested as well as approved by International Centre for Automotive Technology and their solar batteries are tested as well as approved by Central Power Research Institute. They have a manufacturing facility which has the required infrastructure that includes machinery, handling equipment to make sure of the smooth manufacturing process and easy logistic. In order to match the quality standards of raw materials as well as finished products, they also have an in-house testing laboratory. The business is coming up with an IPO for its future business requirements. Here, in this detailed review, we will see whether this IPO is attractive enough for you to invest in it or not. Currently, there are four Directors on the Board of the company. Chetan Sanghvi is the Chairman and Managing Director, Bhaumik Sanghvi is the Whole Time Director and Chief Financial Officer, Milan Vinod Chitalia and Kruti Shah are the Independent Directors of Electra Accumulators Limited. Chetan Sanghvi is the founder of the company and is responsible for looking after Strategic Planning, Sales & Marketing, Business Development and Team Management. Administration from Narsee Monjee Institute of Management Studies. He is responsible for overseeing the complete functioning of Electra Accumulators which includes Purchase, Production, R&D, Quality, Finance and Sales. Electra Accumulators IPO will open on (undisclosed) and close for subscription on (undisclosed). The IPO size will be of 41.18 lakh Equity shares and the face value of each share will be ₹10. Out of these 41.18 lakh equity shares, (undisclosed) shares will be reserved for market makers and the rest (undisclosed) shares will be issued to investors. The price band range has been set at ₹(undisclosed) – ₹(undisclosed) per share. The IPO size is expected to be up to ₹(undisclosed). 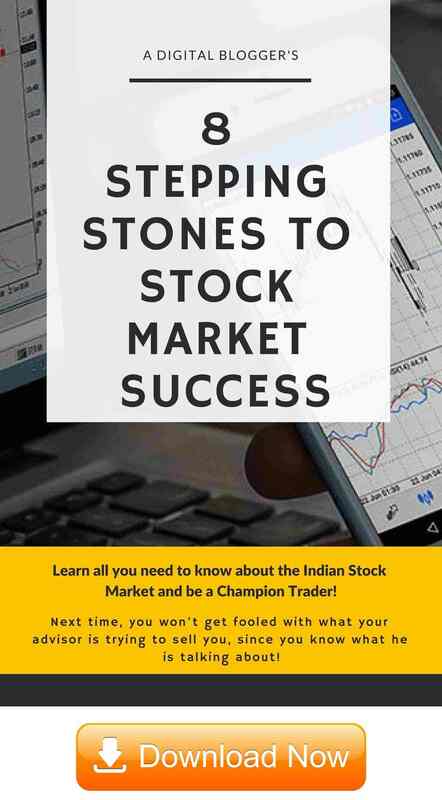 The market lot size is of (undisclosed) equity shares and the shares will be listed on the Bombay Stock Exchange or BSE. Pursuant to a resolution on July 11, 2018, the fresh issue has been authorised by the Board of Directors and pursuant to special resolution of the shareholders at the Extra – Ordinary General Meeting held on July 12, 2018, the offer has been approved by them. There was a significant increase in total revenues from ₹5201.18 lakhs in the financial year ended March 31, 2017 to ₹7384.86 lakhs in the financial year ended March 31, 2018, which is a 42.2% growth rate. This was mainly due to an increase in revenue from the sale of manufactured goods which happened due to a change in their business strategy by shifting the focus from OEM to channel markets. There is also a huge increase in PAT figure during the same period. It was an increase of 687.26% to ₹500.07 lakhs from ₹63.52 lakhs. The return on net worth of the company for the fiscal years ended March 31, 2016, 2017 and 2018, have been 5.31%, 7.12% and 35.93%, respectively. Other than the above-mentioned objectives, the company will also benefit in terms of enhanced corporate image, brand name and increased visibility through Electra Accumulators IPO. Electra Accumulators filed the Draft Red Herring Prospectus (DRHP) with the Securities and Exchange Board of India (SEBI) on August 3, 2018, for the 100% Book Building IPO. The offer will open on (undisclosed) and close on (undisclosed). The finalisation of basis of allotment is expected to happen by (undisclosed) and the initiation of refunds is expected to start by (undisclosed). 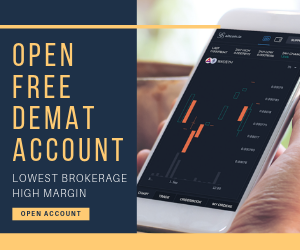 The transfer of shares to demat accounts is expected to start on (undisclosed) and the expected listing date will be (undisclosed). Before deciding whether to invest in Electra Accumulators IPO or not, let us examine some key strengths and risks related to its business. One of their biggest strengths is the experience of their management team and skills, technical competence and qualifications of their employees. Their promoter, Mr Chetan Sanghvi possesses an experience of more than 30 years in the batteries segment due to which they have a well-formed customer base, including distributors, intermediaries and direct customers. Also, they focus on after sales services through regional offices and branch offices located in different parts of the entire nation. They also enjoy the locational advantage of being situated at Vapi like logistic services, proximity to their product market and ease of delivering products to northern as well as southern parts of the country. The quality of their products is also their key strength. They have obtained various certifications to make sure that the quality of their products is one of the best in the country. Their business strategies for expansion in new geographical areas and improving their operational efficiencies, etc. seem to be promising. Now, coming on to the risk factors of the business. There are certain ongoing litigations involving the company at various stages, including a criminal and other tax-related proceedings. Any adverse ruling in these may have a negative effect on the business of the company. The cost of production of finished products is exposed to the risk of fluctuations in the prices of their raw material especially Lead and Sulphuric Acid. 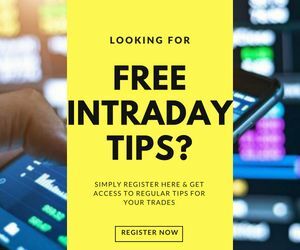 They face heavy and intense competition from their publicly listed peers namely, Amara Raja Batteries and Exide Industries Limited, who have a significant market share in this industry. There have been some cases of delays or non-filings or incorrect filings in filing statutory forms with the RoC. Any actions taken in this regard by the regulatory authorities may affect the business negatively. Their raw materials are hazardous in nature. Any accident involving them may incur penalties on the company. There is a risk of substitution for their existing products with better and more environmentally friendly substitutes. Their dependence on their top 5 and top 10 customers also poses some kind of risk for the company. Any loss of business from these may affect the results of the company. There are costs related to complying with environmental laws which could affect the profitability of the company. They are dependent on few suppliers which exposes them to risk of non-availability of raw materials for their business in a timely manner. The business needs a significant amount of working capital in order to function smoothly. Any interruption in that will affect the financial health of the company. There have been negative cash flows for the company in the last few years and if this continues, it could impact the growth of the business. The sudden and significant increase in PAT and revenues in the financial year ended March 31, 2018, from the previous years is a cause for concern. The company might not be able to sustain such high rates of growth. The revenues grew by about 42.2% and PAT grew by 687.26% in the last financial year as compared to the previous one. The growth in EPS has also been extraordinary. It increased from ₹0.83 per share to ₹6.54 per share in the last fiscal year. After carefully analysing various strengths and risks related to the business of the company, it may be said that investors should remain cautious and invest in the Electra Accumulators IPO for a long-term for better gains. For risk savvy investors, this IPO may be a good option to avoid as well. Pantomath Capital Advisors Private is acting as Book Running Lead Manager to the issue. Link Intime India Private is acting as the Registrar for the Electra Accumulators IPO.